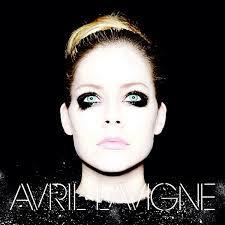 So on Tuesday Avril Lavigne’s new CD came out. I was debating if I was even going to listen to the previews on iTUNES. I used to love her. Her first two albums were wonderful and I’ve seen her multiple times in concert. I was disappointed with her last two CD’s. They were so poppy and happy and that is just not really my kind of music. Especially after being used to her earlier music. Once I looked at the song list on her record I noticed Marilyn Manson was on it. So I decided to give her another chance. The album isn’t bad – I can see where she was going with some of the songs. But of course I only like two or three of them. Other than that I’m extremely glad it was free. If you were a fan of her last two albums you will definitely like this one. But I wanted the darker-punky Avril back.